Thanks for checking out Sally Morin Personal Injury Lawyers: San Jose personal injury attorneys' blog. Here we discuss how although the technology used by Uber and Lyft is improving, it still has far to go for our safety. 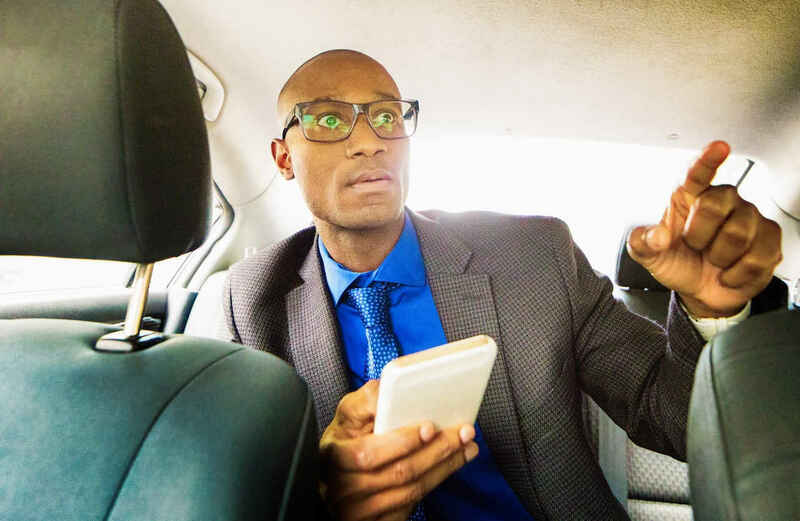 Recent stories concerning tragedies, near-misses, and disturbing trends involving Uber cars (and their drivers) have San Jose residents worried that the ridesharing company may be putting profits ahead of the safety of passengers, other motorists, and pedestrians. Indeed, the tale of the San Jose Uber accident has taken some strange turns with drivers blaming everyone (and everything) but themselves. Indeed, the company itself has had a rather checkered history with high-profile Uber accidents involving celebrities, fatalities, and crashes that simply defy common sense. Many worry that the culture created by the ridesharing company is eroding the safety and accountability previously displayed by for hire rides on California roadways. Specifically the company's reliance on technology and the inherent lack of oversite built into the business model have safety advocates worried that the number of San Jose Uber accidents will only increase. And, it's not only adults who are paying the price. Adding technology to the roadways is a double-edged sword. It can make our commutes quicker, easier, and more hassle-free but at the same time leads to distraction, over-reliance, and a disturbing disregard for common sense. Driving is still essentially a hands-on activity that requires an automobile operator's full attention. Unfortunately ridesharing programs like Uber and Lyft inject technology into the automobile as an integral part of their business model. Not only do both services rely on mobile applications, they incorporate navigation, notifications, and other "necessities" in the cockpit. The ultimate extension of this thread is the self-driving car. And while there are relatively few Uber accidents reported in San Jose, the company does have deep ties in this community. In fact, the Lidar system Uber reportedly uses on its autonomous automobiles was developed here in San Jose by Velodyne. The company creates a variety of sensors used by various companies around the world but came under fire recently for its alleged involvement in a fatal Uber accident. The autonomous Uber Volvo XC90 failed to stop and struck Mrs. Herzberg. Accident recreation showed that the advanced guidance system should have spotted the victim and stopped the car in plenty of time to avoid this tragedy. Sadly, something went wrong somewhere along the way and an innocent victim paid the price. This isn't the first problem that Uber's self-driving cars have faced. In fact, a New York Times report uncovered that the company's autonomous vehicles required active human intervention to avoid Uber accidents far more often than those being tested by rival companies. Internal documents show that Uber's self-driving vehicles required human intervention once every 13 miles. Rival Waymo's cars required human intervention only once every 5,600 miles. But technology doesn't have to be in control to cause Uber Accidents. Sometimes when a human is behind the wheel and actively navigating the car, technology can get in the way. One recent Uber accident involved a driver making an illegal turn onto a pedestrian staircase. When questioned about the seemingly foolish maneuver, the driver stated that Uber's navigation app suggested the turn to avoid traffic. Experience a serious Uber accident? But it's not always a software or hardware error that puts people in danger. In fact, human error and incompetence are still the biggest influencers in every single Uber accident in California. Distracted driving is—plainly put—dangerous driving. Sadly, Uber accidents are even more tragic when they involve children. One of the very first fatal Uber accidents in California involved a rideshare car fatally striking a young child on the street. That accident revamped how Uber insures its drivers and played a pivotal role in how the legal system deals with Uber and other ridesharing programs like Lyft. Using rideshare programs responsibly can make your life easier. But relying on technology without giving it the proper thought and consideration is a recipe for disaster. Remember that your driver is not a professional and is not bound by the same legal requirements as a taxi or bus driver. Also remember that their reliance on the very technology that has made their ride available to you could be putting you in harm's way. And lastly, keep in mind that if you are recovering from an Uber accident in San Jose you to are now forced to navigate a complex legal system that doesn't always have your best interest at heart. If you or someone you care about has suffered serious injury due to a San Jose Uber accident, contact us by getting a FREE online case evaluation now.